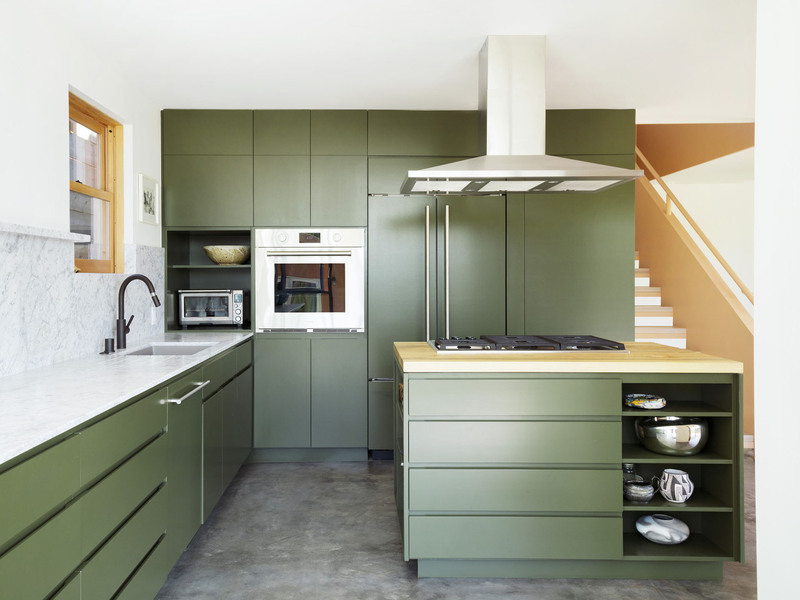 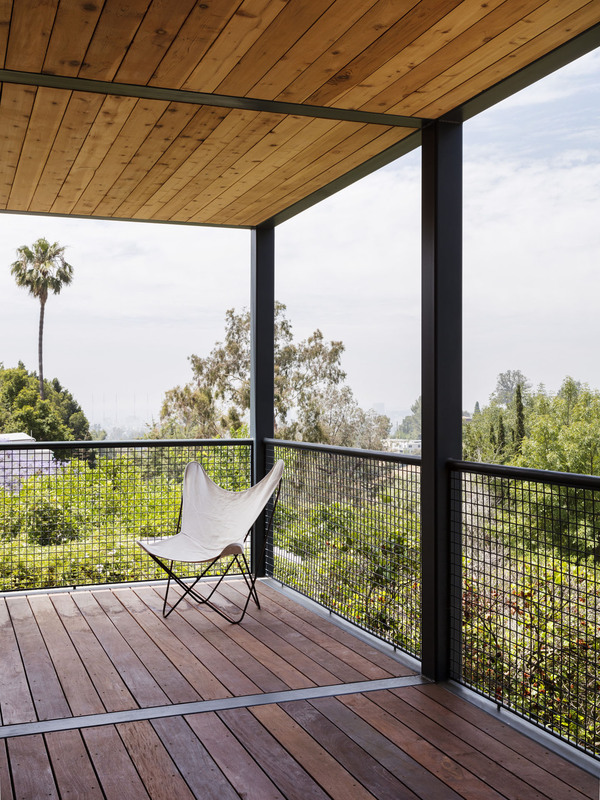 The project consists of a complete remodel and extension of a 1920’s bungalow on a sloped plot in the Echo Park area of Los Angeles. 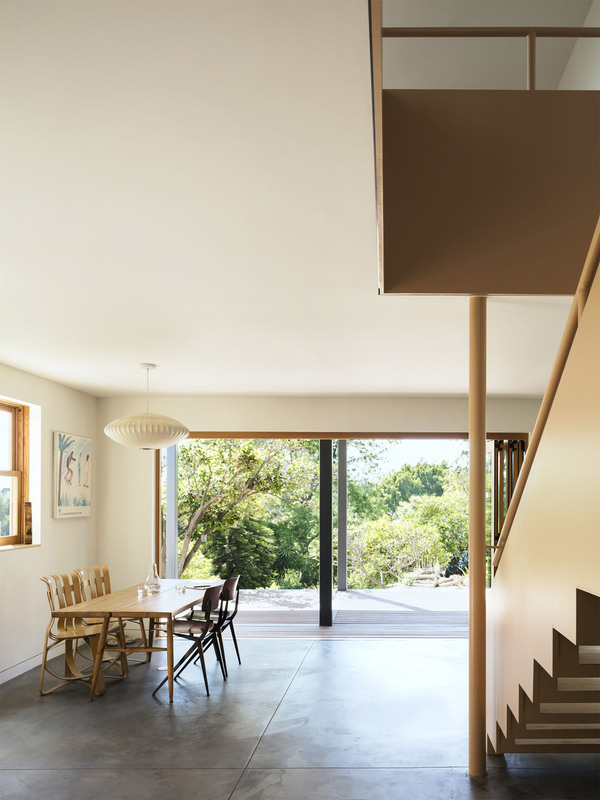 Although the existing building was an anonymous and generic tract home, we decided to maintain as much as we could its original character since we considered the typology interesting in relation to the site’s context and history. 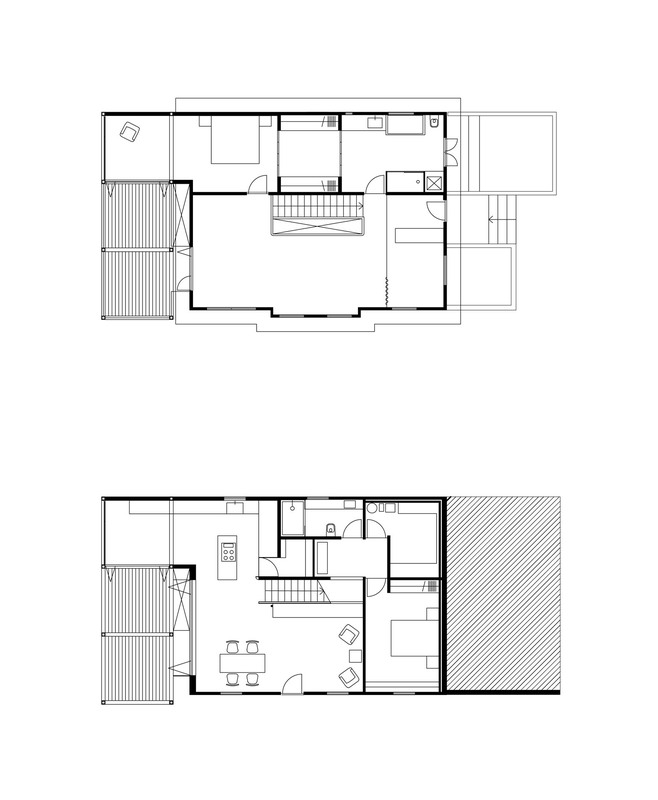 The existing crawl space underneath the front of the house was further excavated to augment the total square footage of the property. 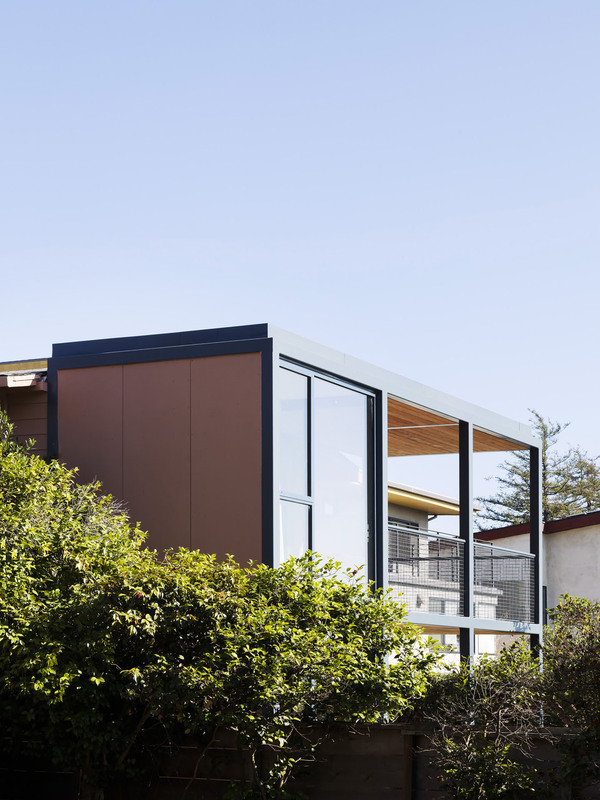 Towards the back a steel moment frame was added to the house in order to create a transitional space that mediates between the house and the garden and protects the rear facade from the afternoon sun. 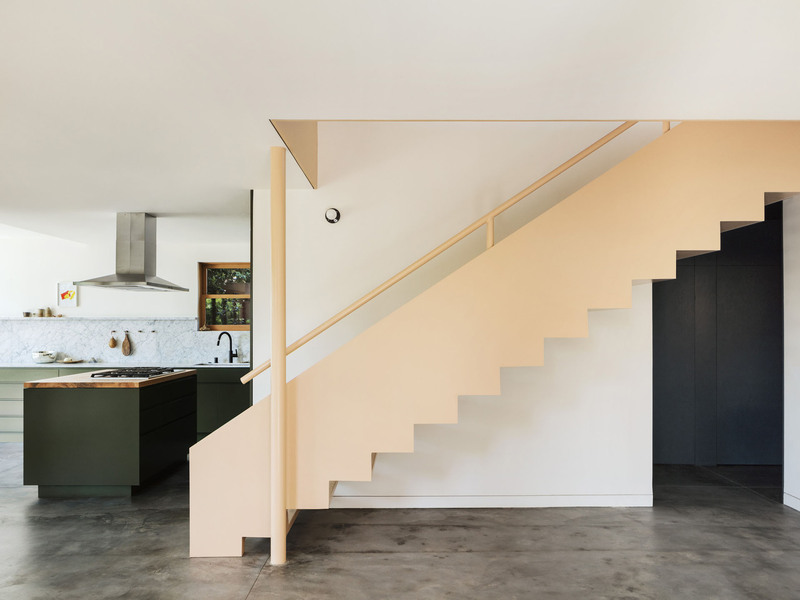 In its interior, the new central staircase with a distinct saw-tooth profile, frankly connects the upper and lower level with each other. 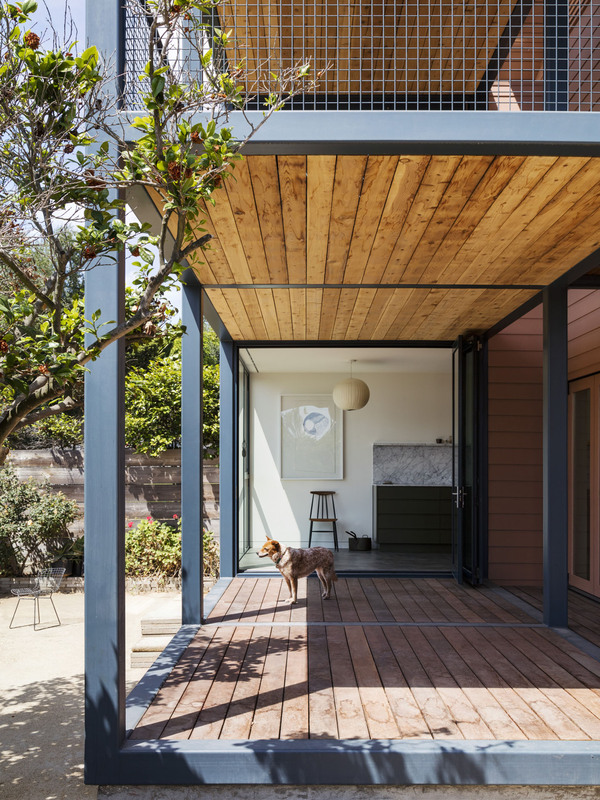 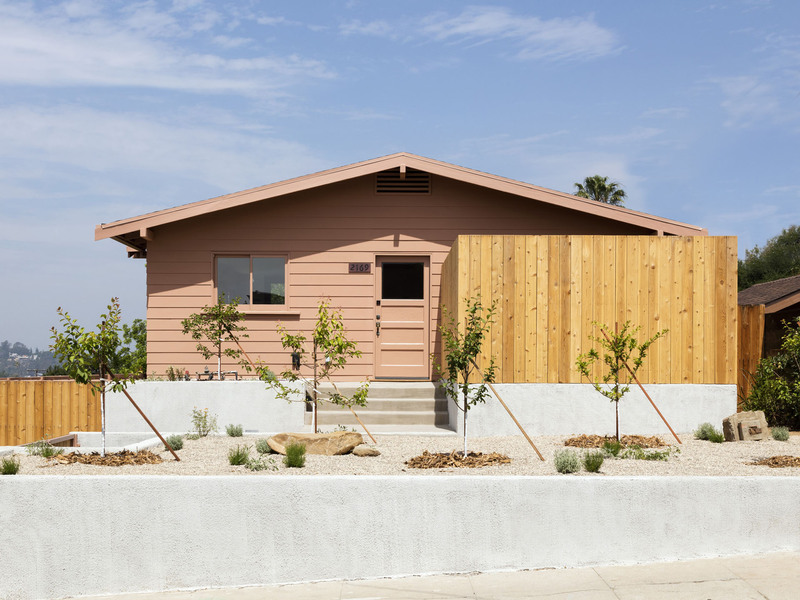 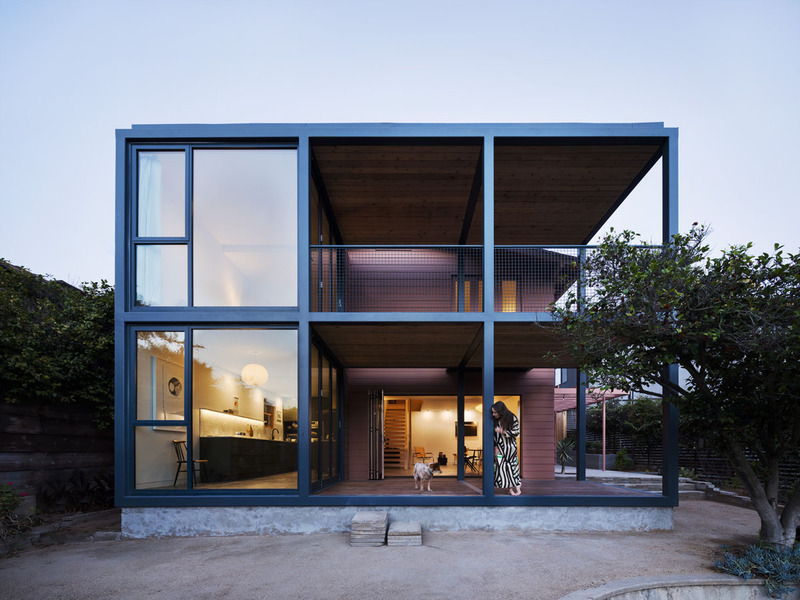 The new grid-like structure (painted in blue) and the existing bungalow (with siding and window framing rendered in a brown-pinkish taint) establish a strong contrast. 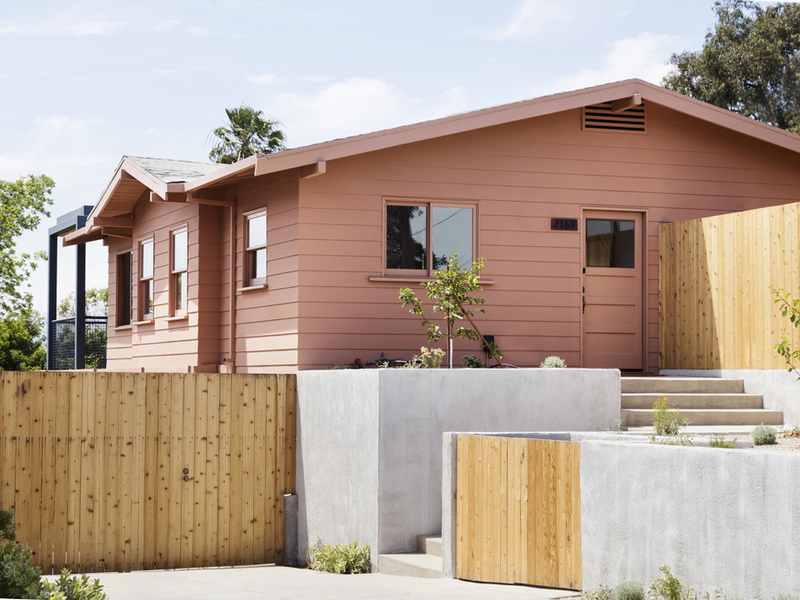 They juxtapose two different moments in time: each one with its own constructive logic, material and color code. 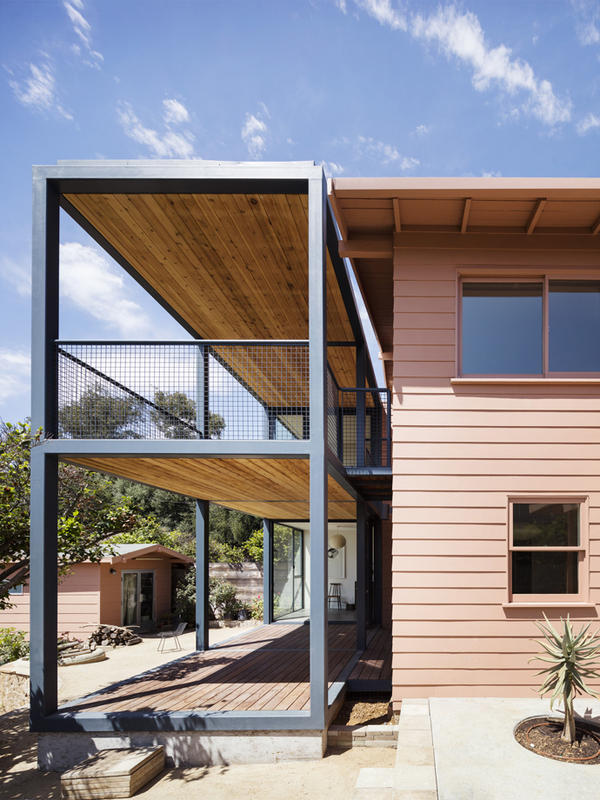 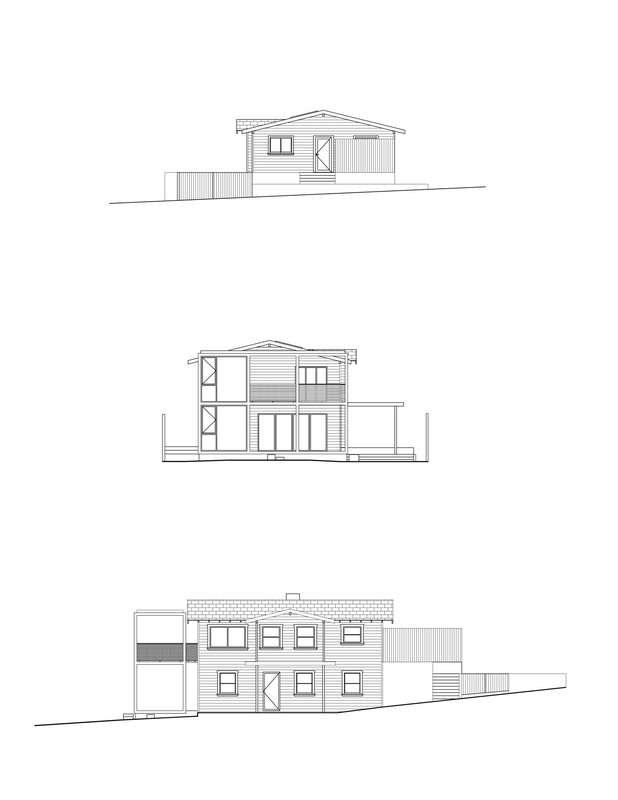 Four of the 6 cubic squares of this addition are covered terraces, while two are interior spaces incorporated into the kitchen area (lower level) and the master bedroom (upper level).